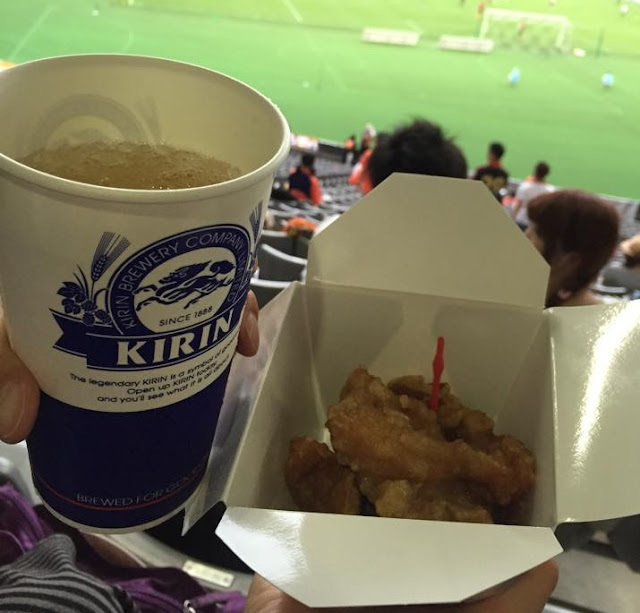 This past Sunday I attended a match at Tokyo’s Ajinomoto Stadium. Located in the West area of Tokyo known as Chofu, the stadium is currently shared by two tenants: FC Tokyo of J1 and their city rival Tokyo Verdy of J2. 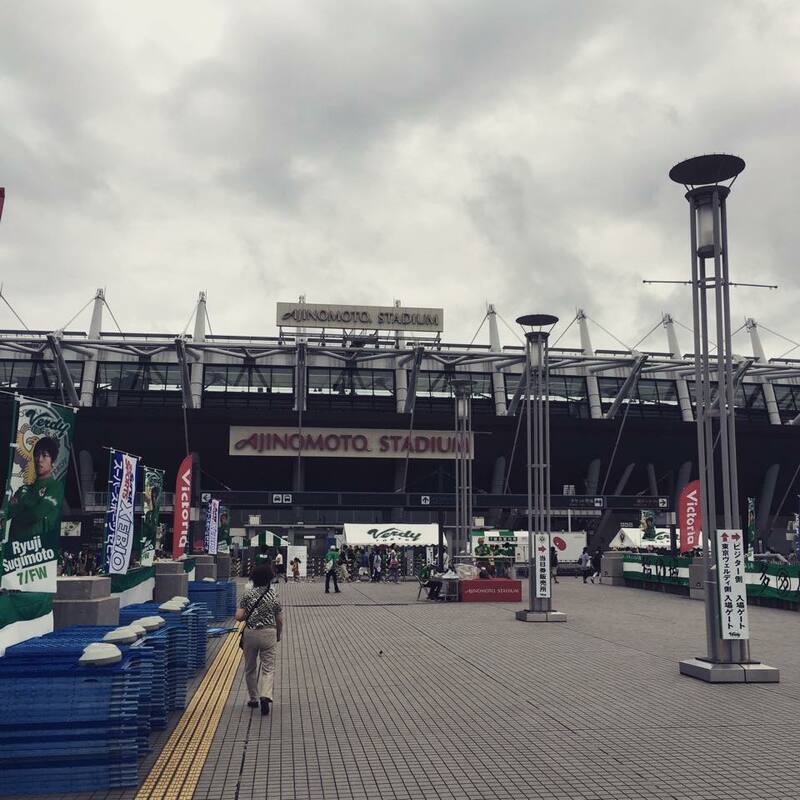 This was my first time watching the once famous Tokyo Verdy in person, although I was taking in their clash with Ehime from the visitor’s end of the stadium. The match was of high importance for both teams as they’re currently fighting for a playoff position for entry into J1 for next season. Tokyo Verdy, was once branded “Japan’s Team” but a snowball effect of leaving it’s home in Kawasaki and losing their long time owner’s Yomiuri/NTV in the 2009 season has seen them stuck in Japan’s J2 ever since. 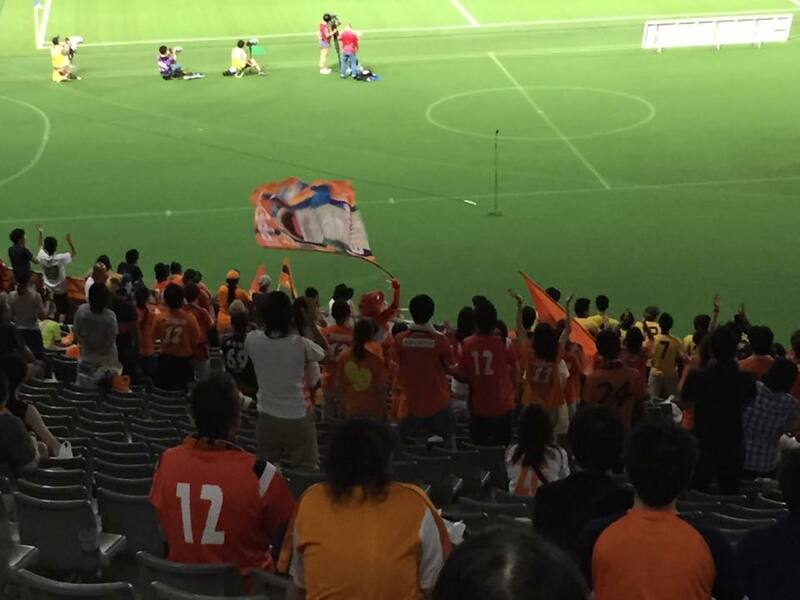 Ehime, however has had a relatively small amount of history in the top tiers of Japanese football since their promotion to Japan’s JFL in 2003. A brilliant piece of marketing of using a cute little frog as one of their mascots has gained interest from all over the league. This only really became apparent to me after actually attending one of their matches. 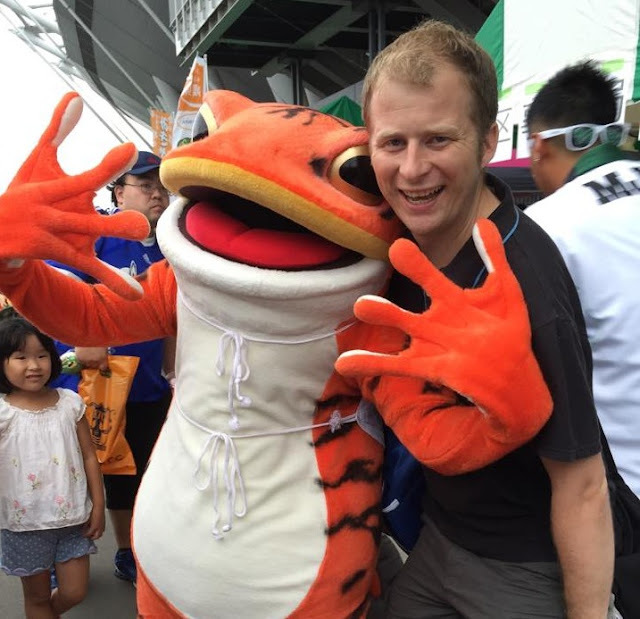 Many adore “IppeiKun” and a large percentage of Ehime FC’s traveling support consists of “J.league nomads” as I have coined them whom are more interested in IppeiKun than the team. This might seem odd to some, but this is Japan after all, land of cuteness. This has sparked Ehime, who you could have previously described as a backwoods team, into prominence, and their merchandise is being bought up like hotcakes in some places in Tokyo. A total of 6,843 filed into the near 50,000 Ajinomoto Stadium for the match and believe me when I say this, it’s far more pathetic in person. This is just one of the examples as to why Verdy is in their current position in J2. That and the fact that wherever you go in the surrounding area, all you will see are FC Tokyo flags, posters and even FC Tokyo themed McDonald’s stores. Aside from all this Verdy have had a decent season and are actually playing some attractive football. For most of the first half Verdy dictated the play and should’ve been up by at least a goal in the first 45 minutes. It only by some kind of miracle that Ehime kept the score deadlocked. After the restart Ehime took the initiative with some quick passing and hustle. The Orange Men were rewarded on 53 minutes when Go Nishida put the away side ahead after a mad scramble in front of the Verdy goal. Poor Verdy were to continue their dominance for the rest of the match to no avail. The win was Ehime’s 5th win on the trot and has bumped them into the sixth and final playoff spot. This is what makes Japan’s J2 exciting, like many league's that have a second tier promotion playoffs, you can have several sides battling it out down to the wire for the chance of being promoted to play with the elite. Although the crowd was sparse, you could feel a real sense of relief and ecstasy when Ehime bagged all three points. I couldn't help feel a bit of empathy for the Verdy fans on the way home. I know what it’s like to lose important games as my beloved F.Marinos did in a title deciding game two years ago. Still, who knows how long it will be until the once mighty Verdy march back into J1? Daniel Jones (@CND_MARINO), lives in Tokyo, Japan and is an occasional guest contributor for this site, along with Tricolore Pride (@TricolorePride), JTalkPod (@JTalkPod) and JSoccer Magazine (@JSoccerMagazine). Daniel is a season ticket holder for Yokohama F. Marinos.